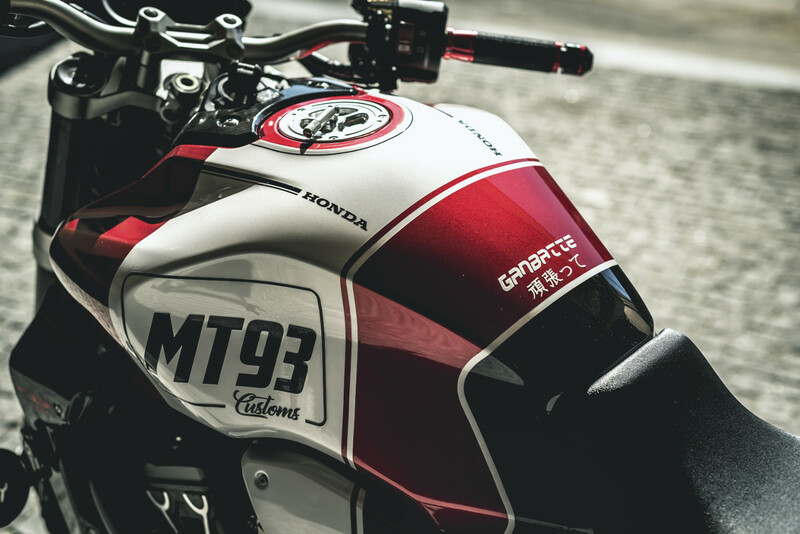 Honda Garage Dreams: 13 CB1000R Customs! 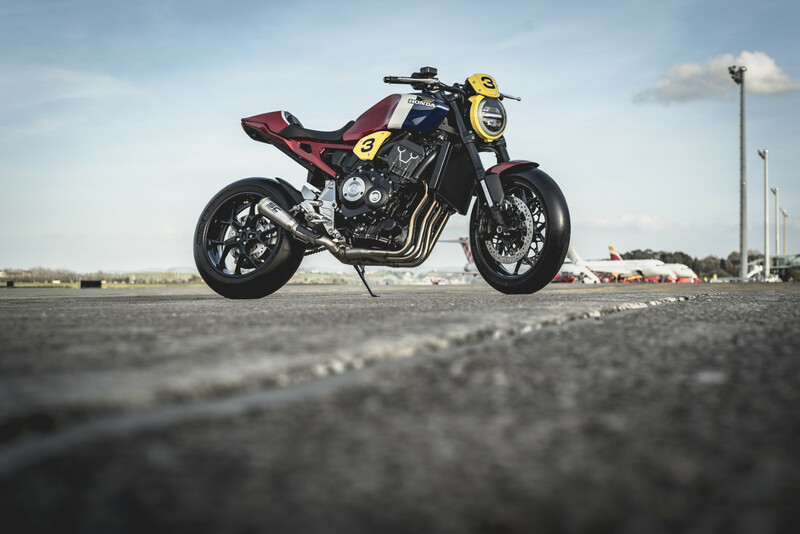 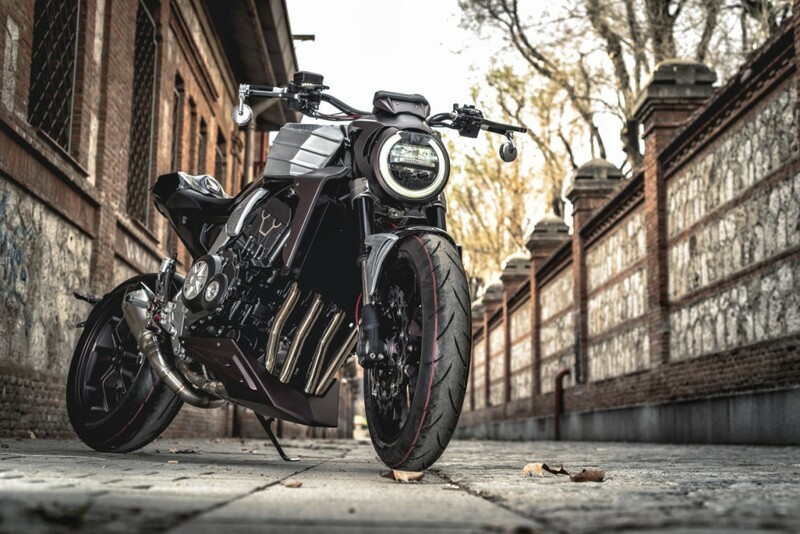 Honda Garage Dreams is the first motorcycle customization contest in the history of Honda Spain-Portugal, aka Honda Motor Europe Iberia. 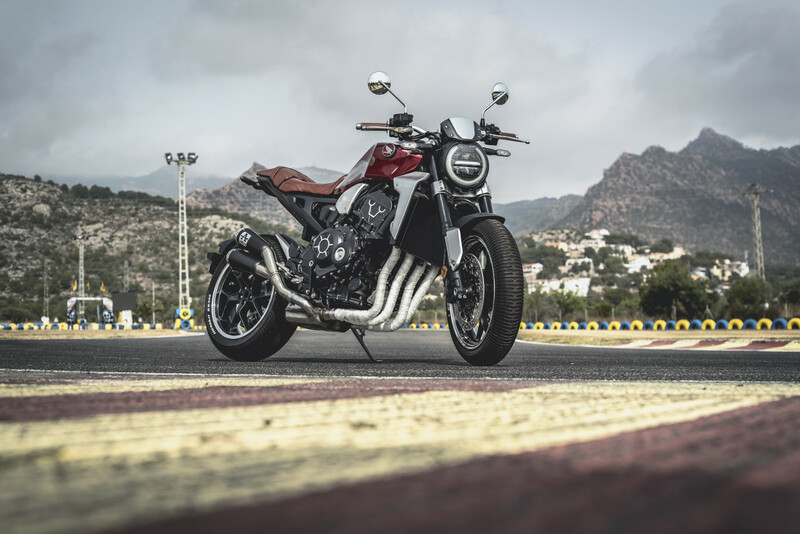 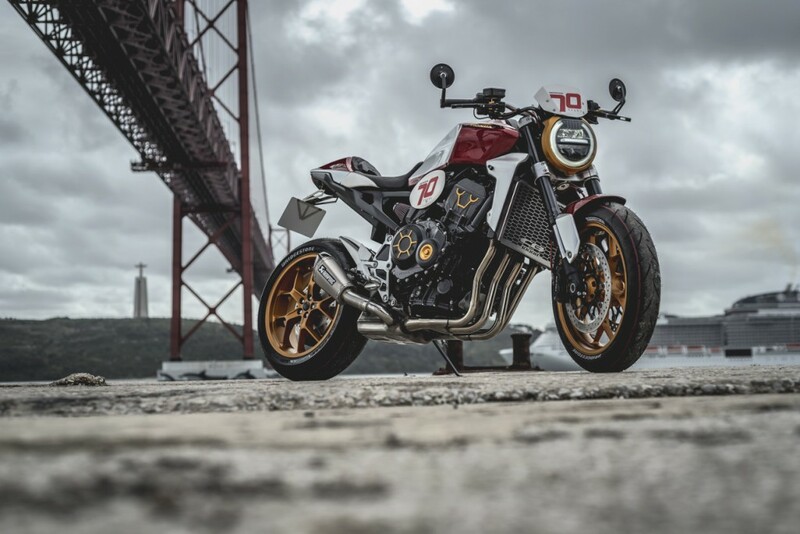 In January, 13 Honda dealers across Spain and Portugal started with the same platform, the Honda CB1000R from Big Red’s vintage-inspired Neo Sports Café range. 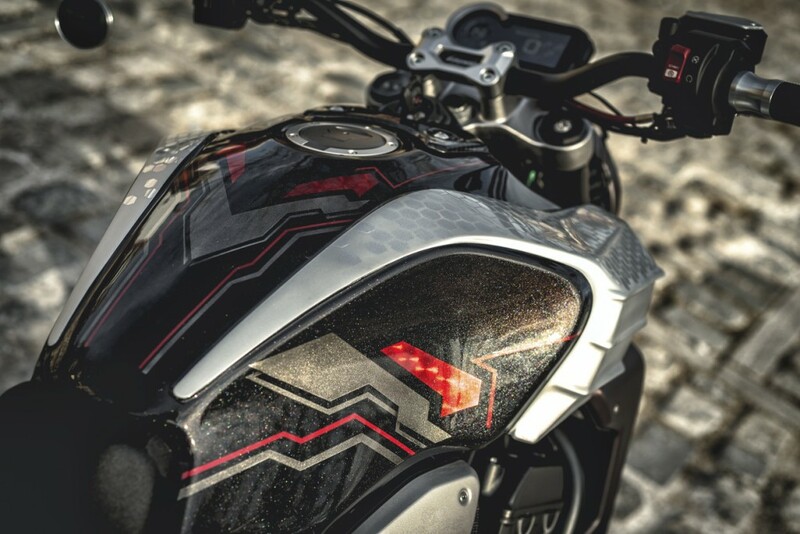 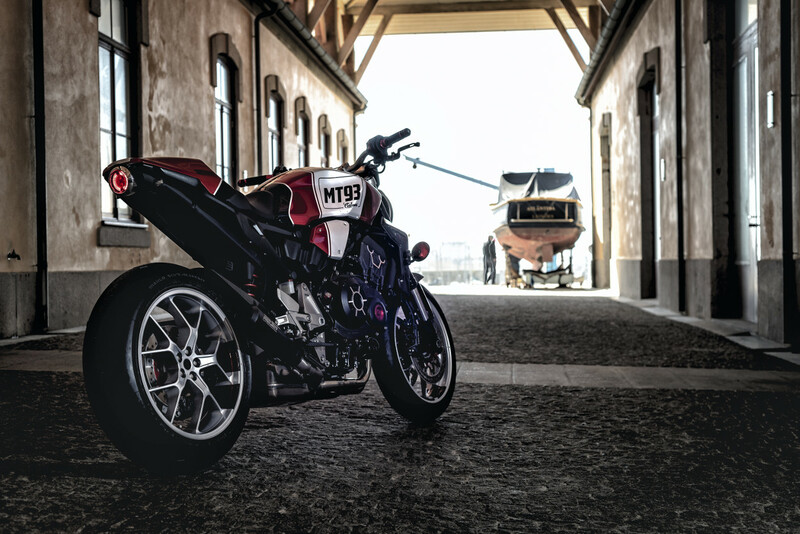 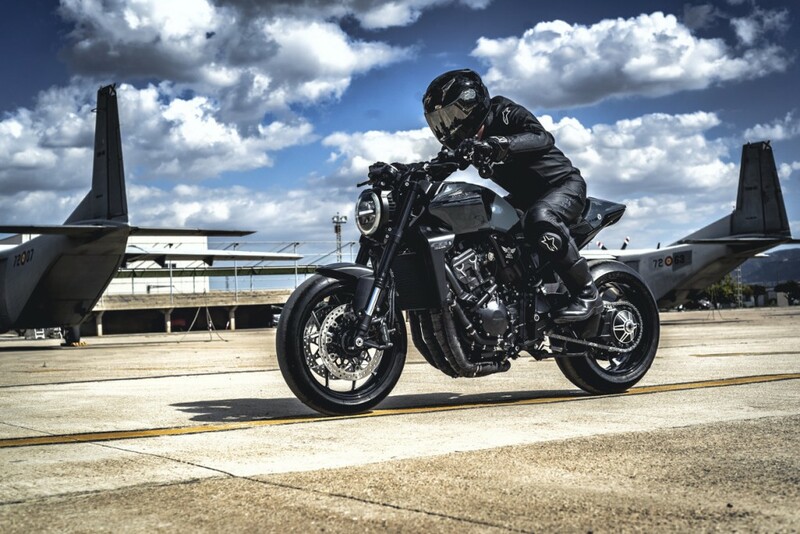 The CB1000R, first introduced in 2008, is currently powered by a 144-horsepower, 998cc version of the CBR1000RR superbike engine, featuring forged pistons, ride-by-wire throttle control, and street-friendly tuning, optimizing midrange power. 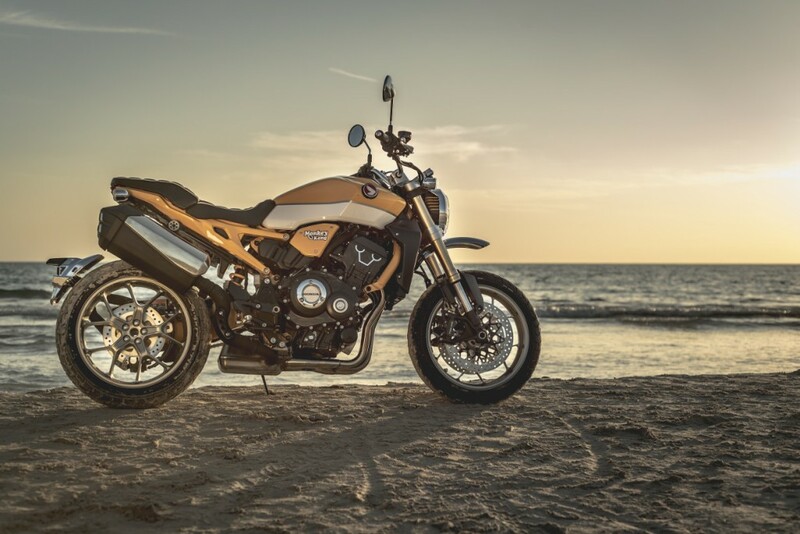 Cycle World has called the 2018 version “ultra-polished” and “ready to play,” pairing “elegance and performance.” Quite the review! 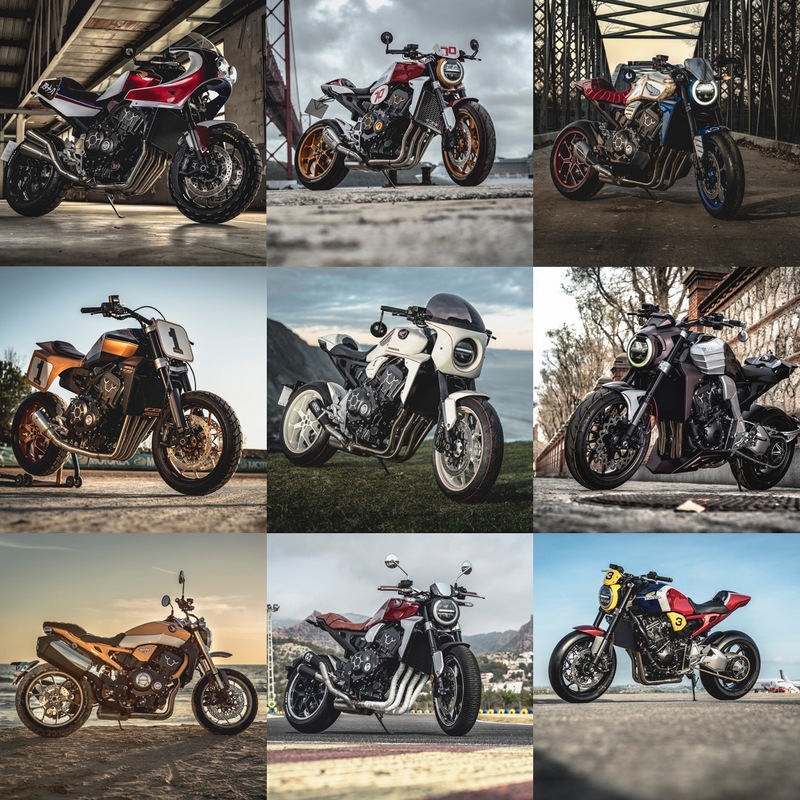 Below, we have a rundown of each build, along with stunning photos from none other than Diego Bermúdez, director of Revival of the Machine. 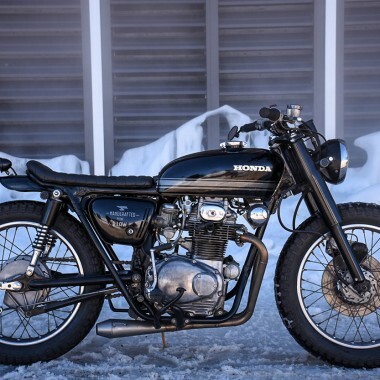 From April 4-7, you can vote for the winner here: www.hondagaragedreamscontest.com. 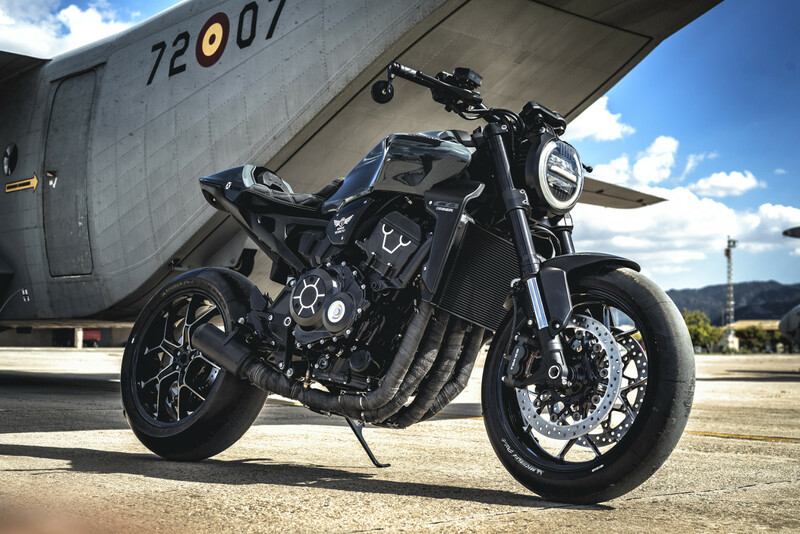 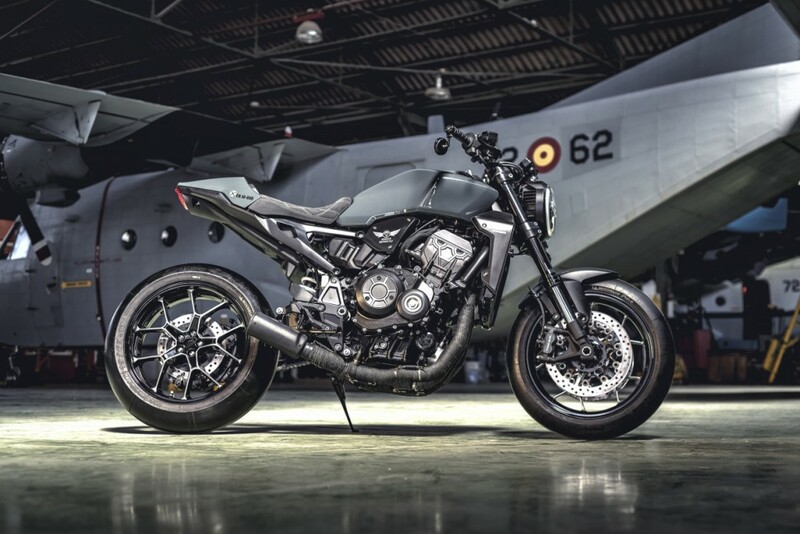 The winning custom will be announced April 7, 2019, at Vive la Moto Salon (Barcelona). 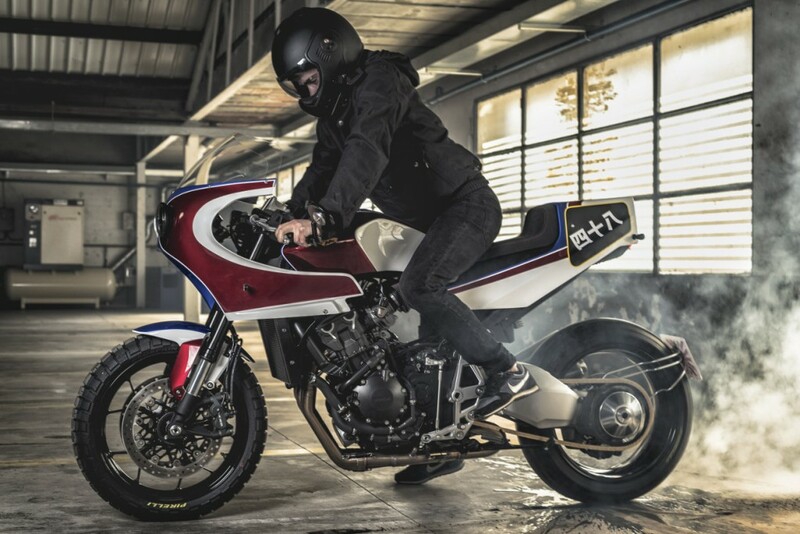 This CB1000R has a decidedly jet fighter aesthetic, with bold dark lines, racing slicks, and a suede seat that should keep the rider planted during track antics. 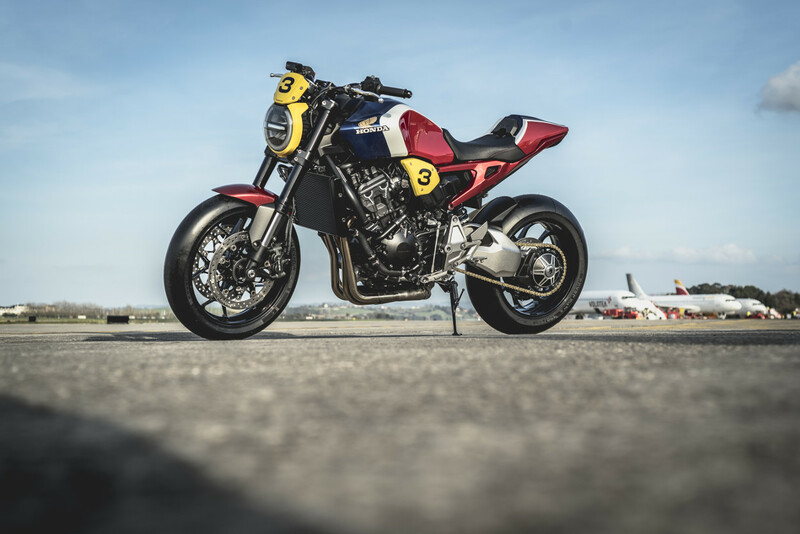 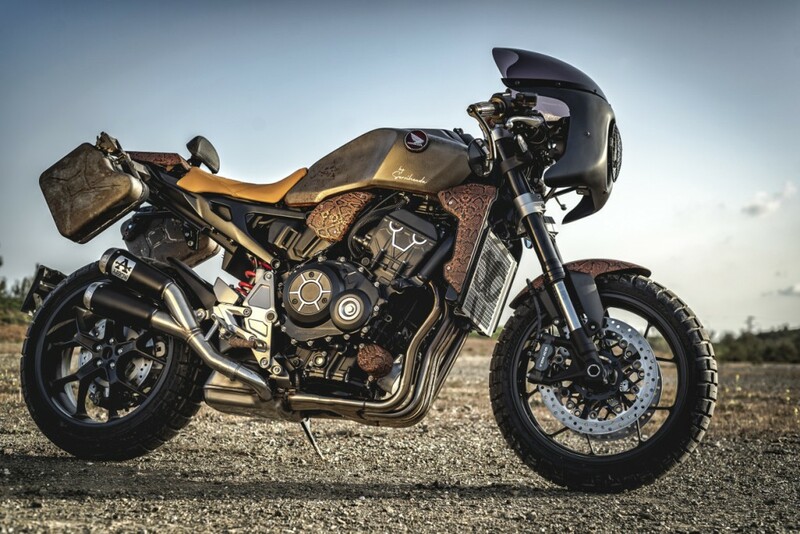 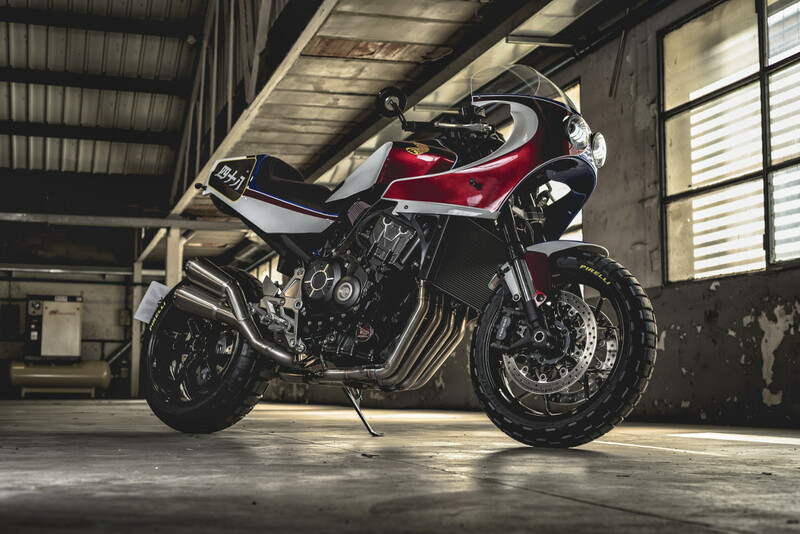 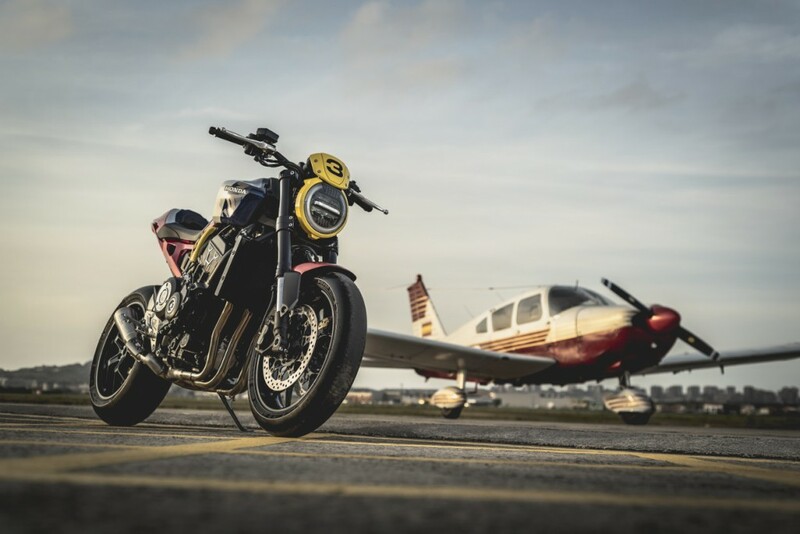 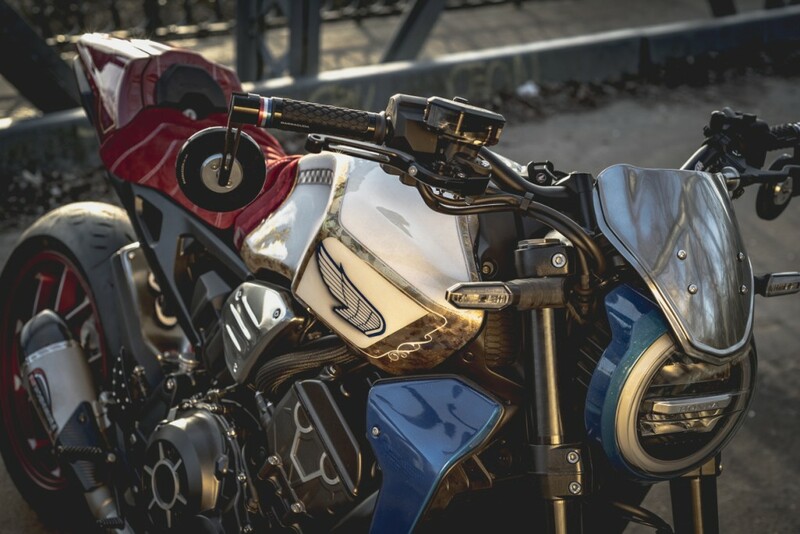 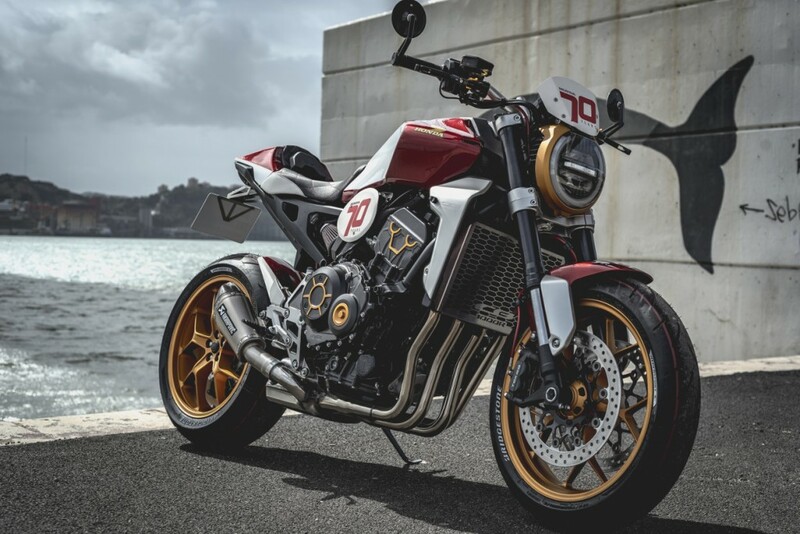 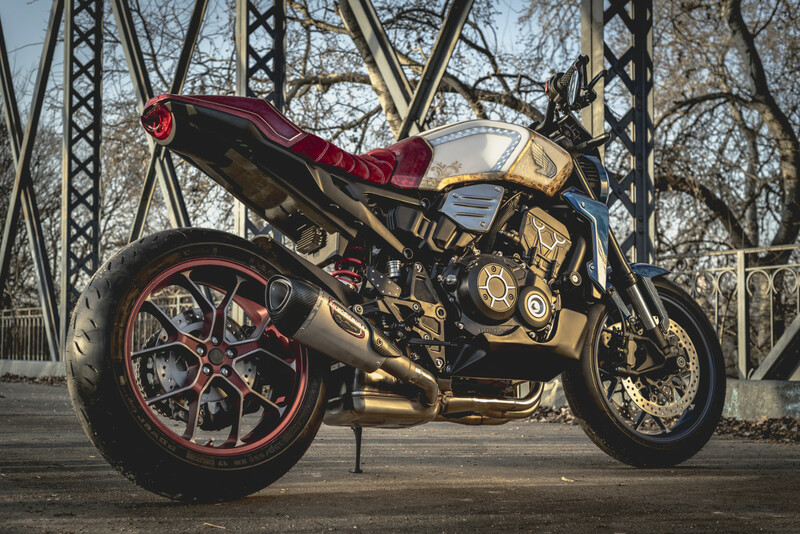 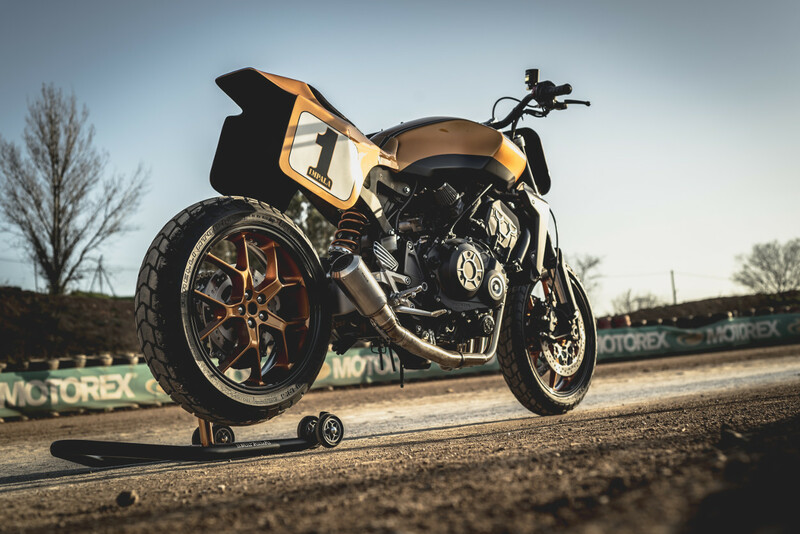 This custom CB1000R employs traditional Honda colors and race-inspired livery, along with race slicks and a muscular, streetfighter shape. 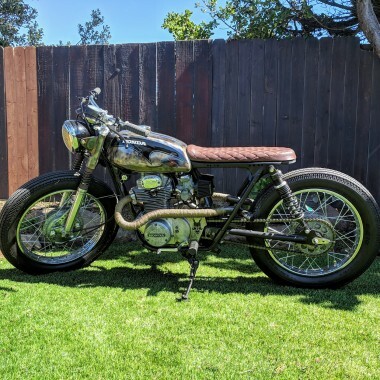 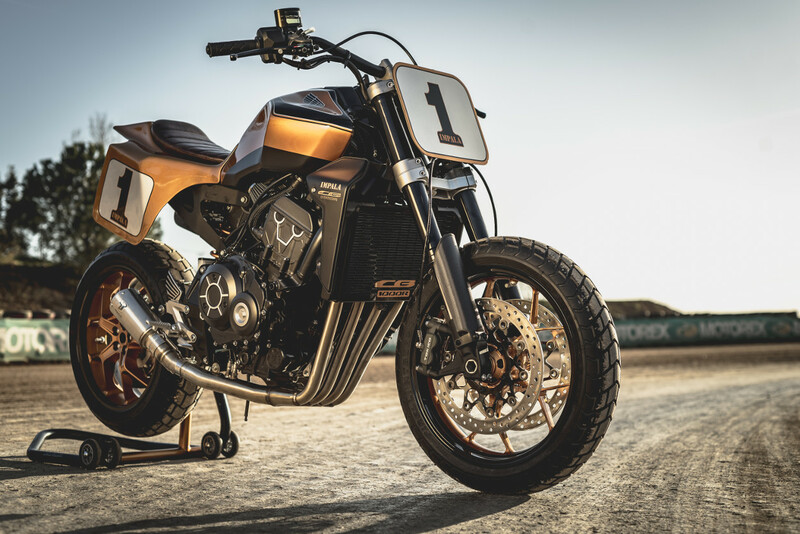 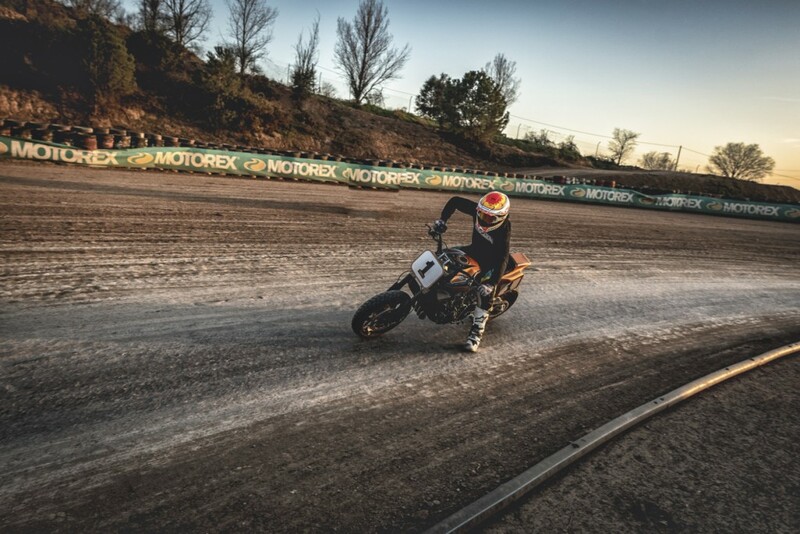 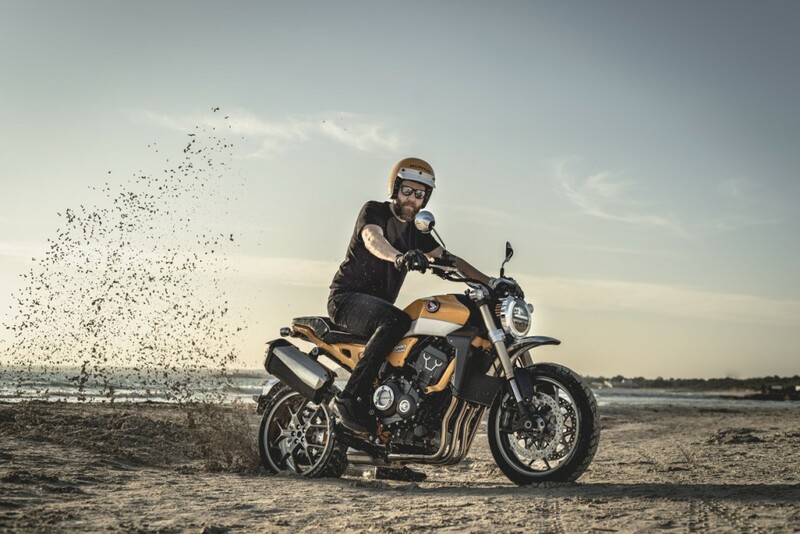 The CB1000R flat tracker of the bunch, complete with number plates, integrated seat/tank/fender, and true flat track prowess, as demonstrated in the photos below. 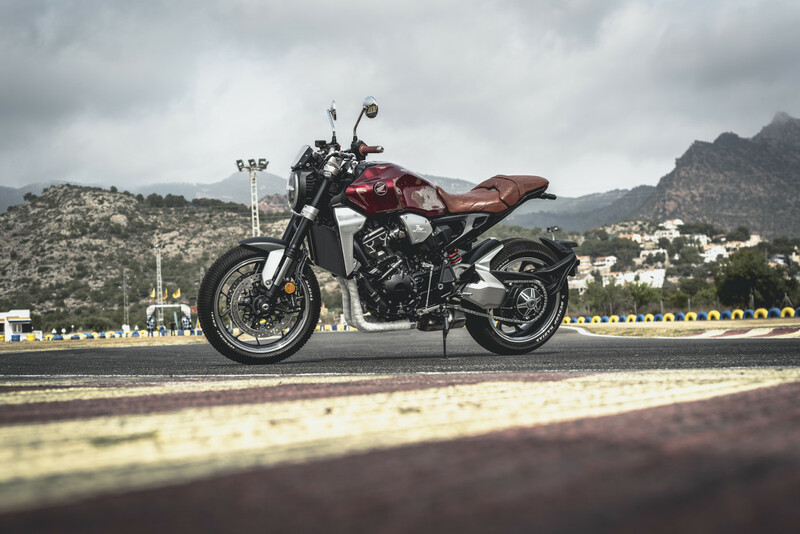 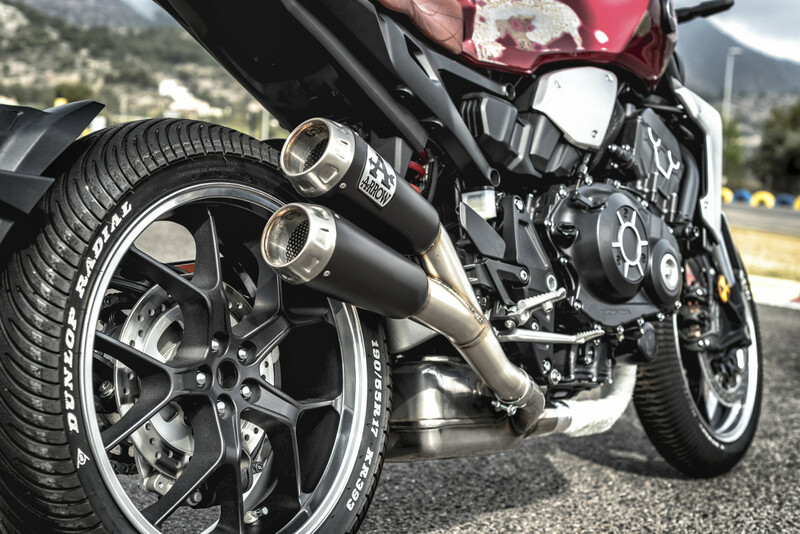 This CB1000R has a lovely Arrow exhaust system, along with patina-effect paint for a retro, vintage look that harks back to the air-cooled CB Fours of yesteryear. The paint and seat of this build are stunning, flowing from blue to white/silver/gold to red at the rear. 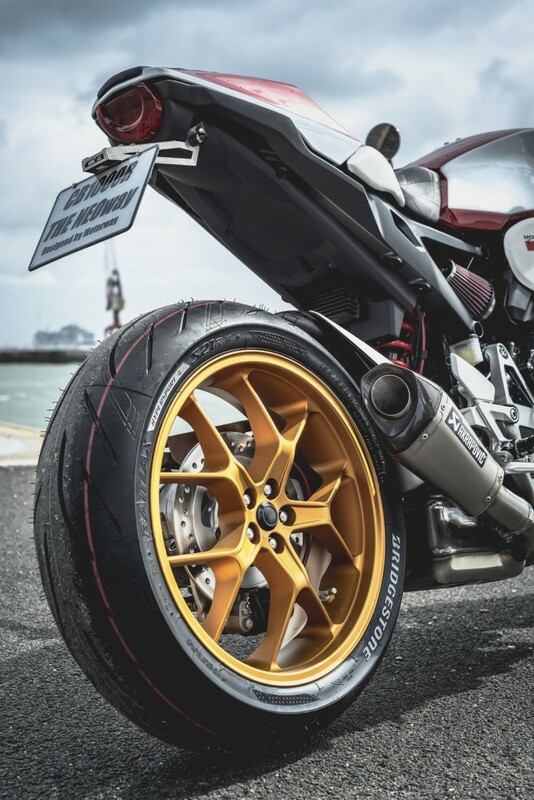 The rich red seat and different-colored wheels are striking. 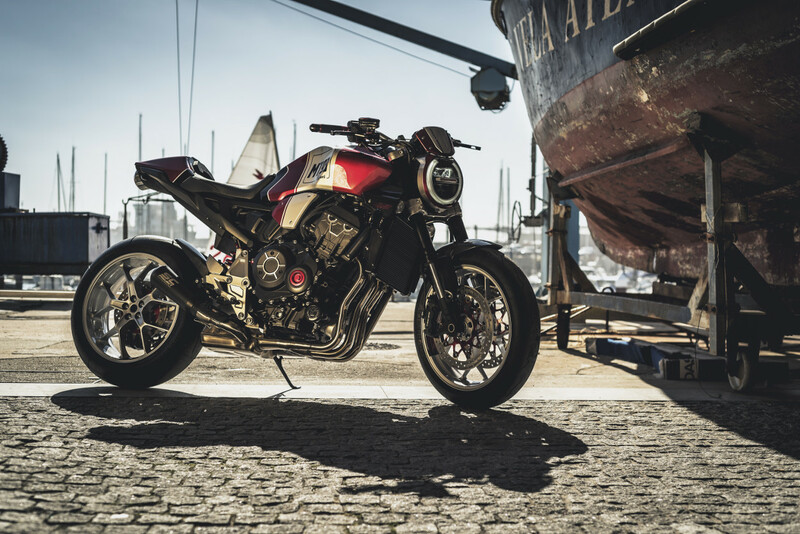 This red and bronze-gold beauty hails from Libson, Portugal — the color accent in the engine flow perfectly with the wheels and headlight halo. 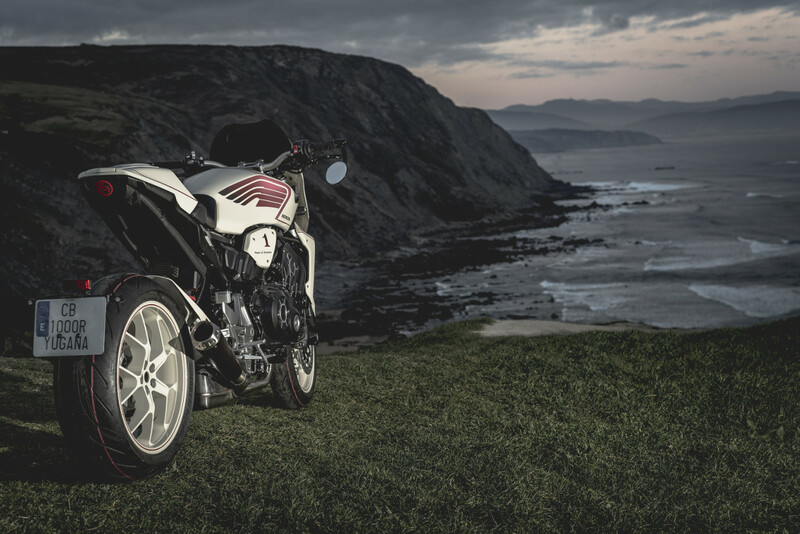 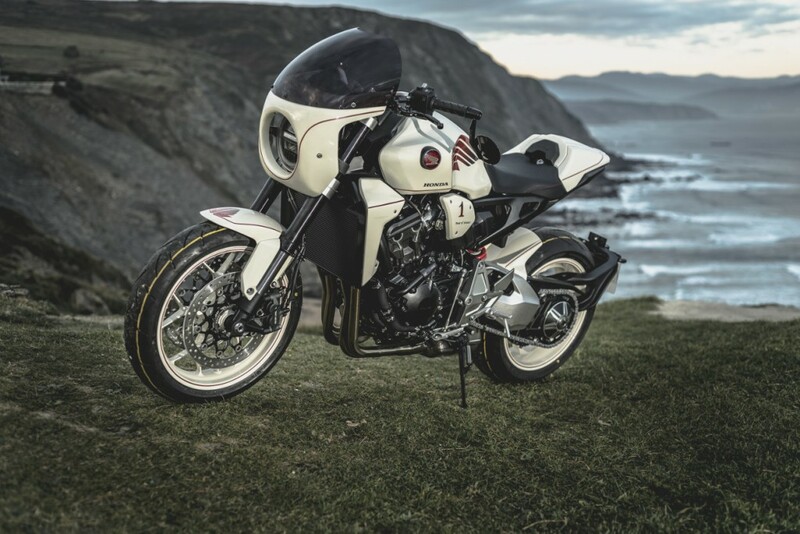 This custom CB1000R, hailing from Porto, Portual, has a striking bloodred and white livery that recalls Formula One cars of old. 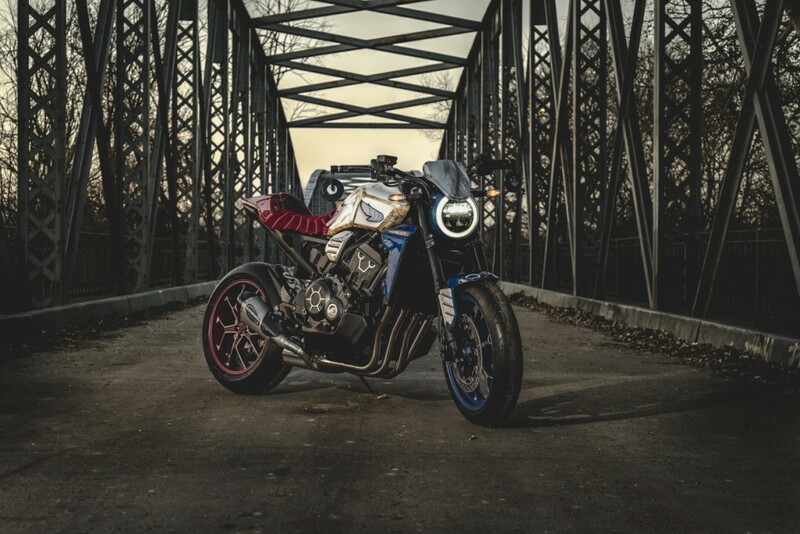 We love the street-oriented focus of this build. 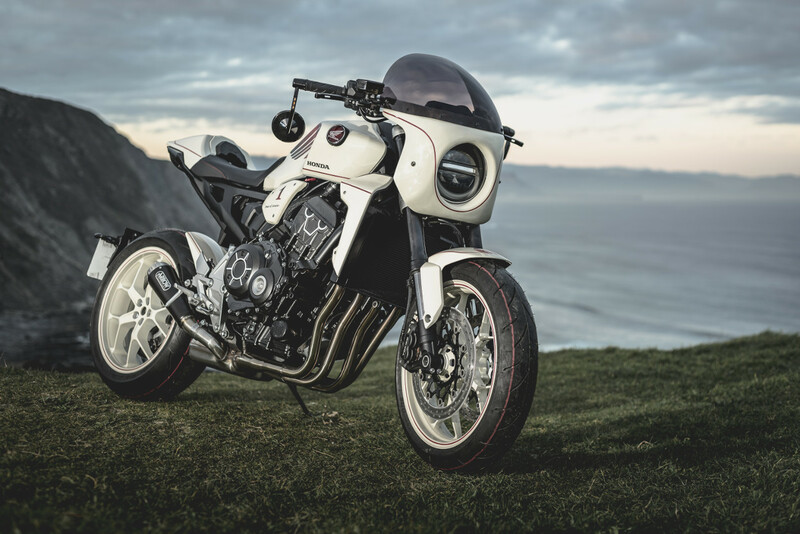 This CB1000R has a retro muscle bike look, with a custom-painted headlight fairing, radiator cowling, and the traditional Honda wings painted in iridescent red on the matte white bodywork. 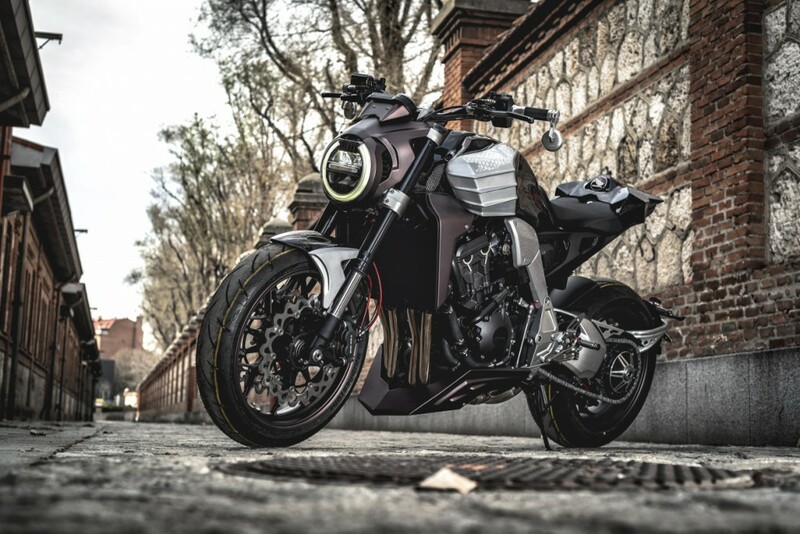 This futuristic,urban brawler looks like it would be right at home underneath a blade runner. 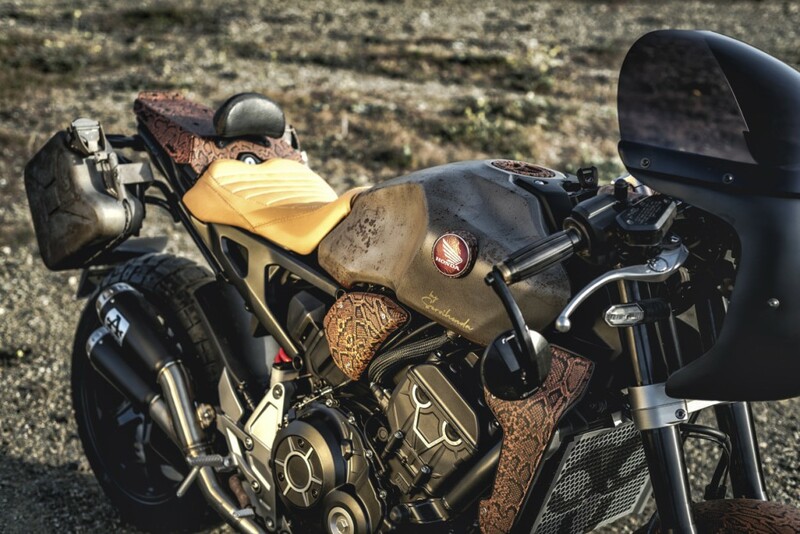 Killer work on the front fender and tank effects. 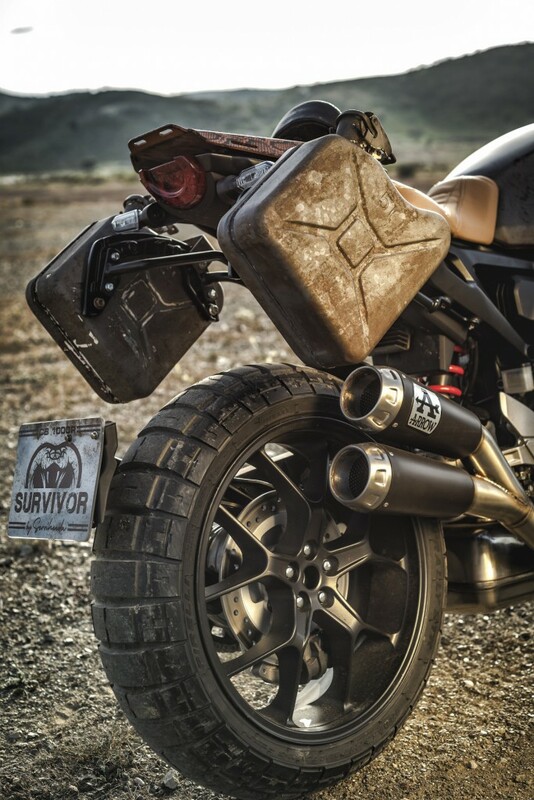 This post-apocalyptic CB1000R “Survivor” looks straight out of Mad Max, complete with a custom jerry can rack and snakeskin motif on the bodywork. 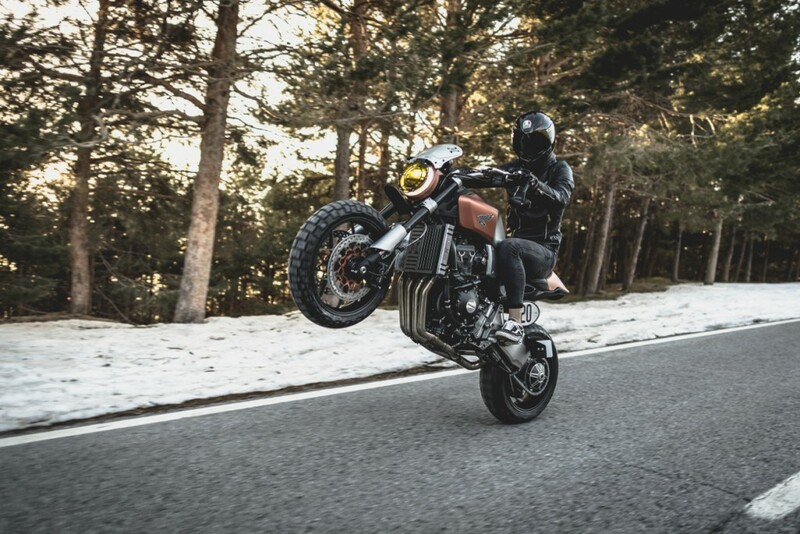 Possibly the most original of the bunch! 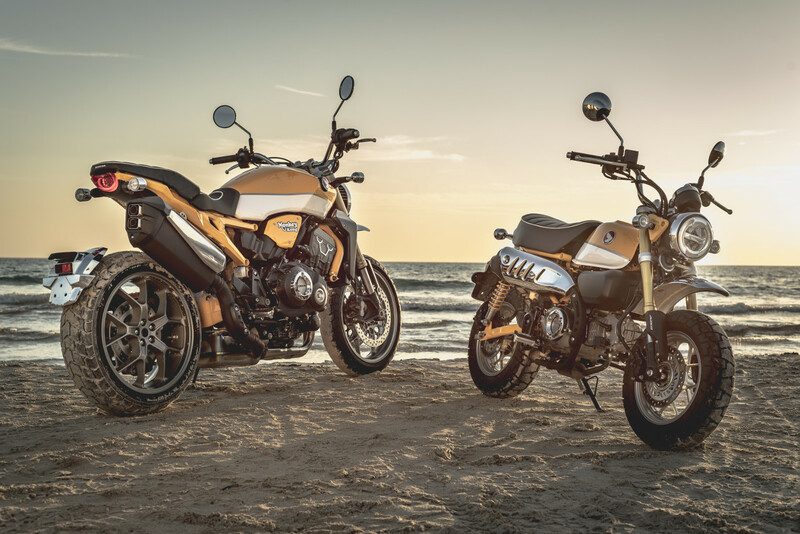 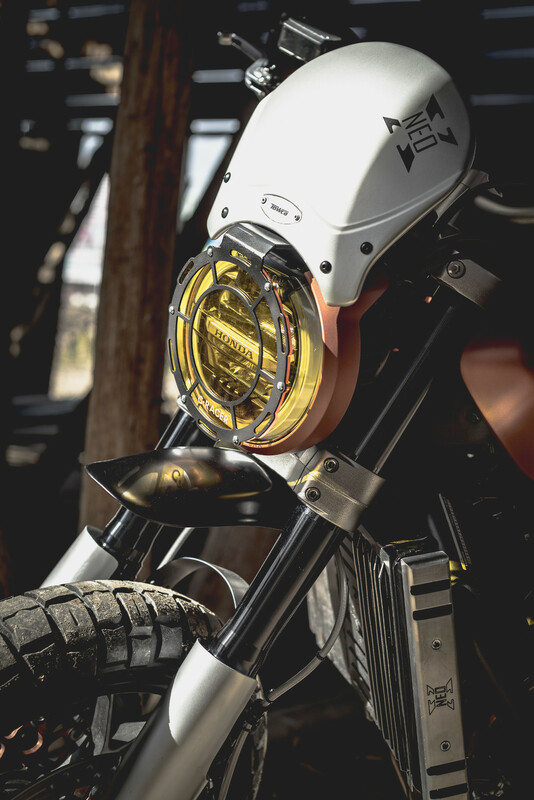 This CB1000R “Neo X” has an obvious scrambler / enduro influence, complete with rock guard on the headlight, radiator protection, dual sport tires, and a rock guard for the headlight. 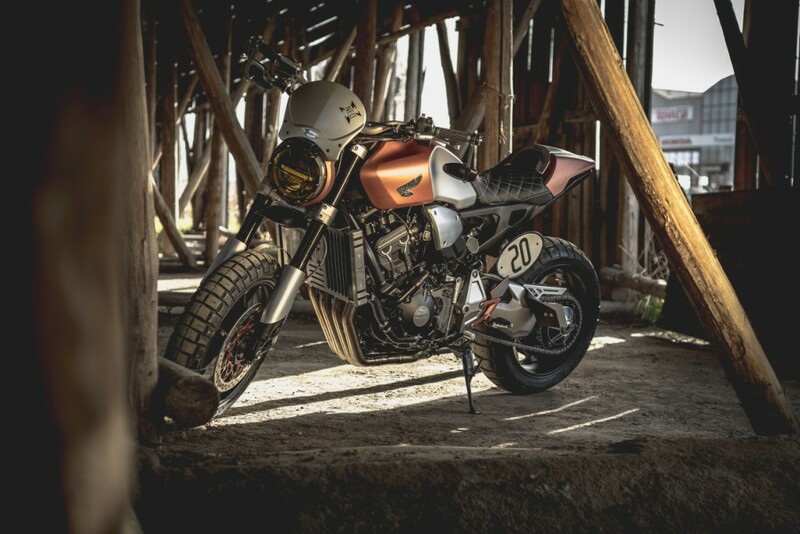 VC Moto went with an endurance racer theme that will surely garner quite a few fans. 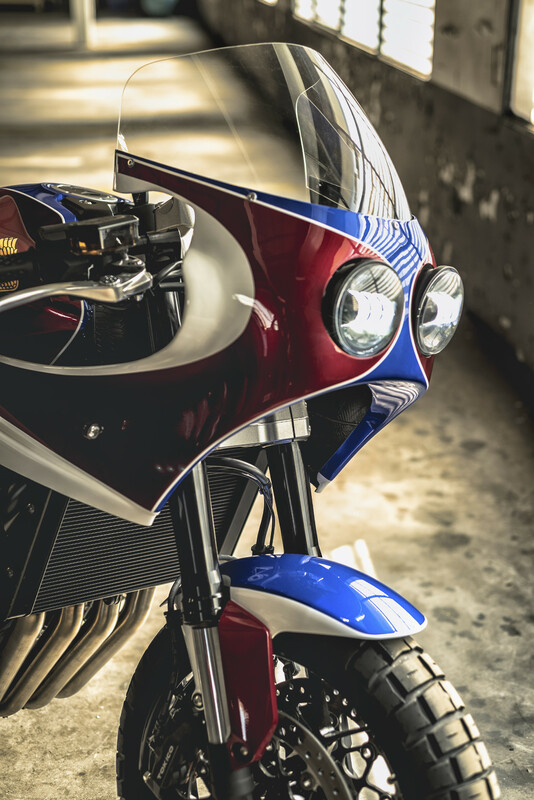 We love the dual headlights and retro fairing, along with the beautiful dual output exhaust and boxy, 80s racer tail cowling.